 Creative Click Media was founded in 2011 by Adam Binder. We don’t have a long history but we’re fueled with passion. Learn more on our about page. The simple answer is hundreds. We’ve developed and designed hundreds of websites from the bottom up. Other we have given a face-lift through a simple re-design and other we have simply just managed.From 5 page sites to sites over 200 pages, we’ve done it all. You can check out our most recent work in our portfolio. We have worked with almost every industry – contractors, lawyers, healthcare, restaurants and hospitality, financial, education, marketers, accountants, home maintenance, hotels, real estate, health and fitness, nonprofits, environmental services, auto services, moving companies, seasonal companies, consulting and training, landscaping, eCommerce, health technology and everything in between. During and after projects we are readily available to assist clients. We are of course available via phone or email but during projects we use a project management tool called Basecamp. This tool allows us to communicate about projects in one place so all parties involved in the project know what is going on at all time. It is a way to streamline communication so nothing falls through the cracks. Basecamp has improved our customer service efforts as well as increased productivity and organization of projects. This is up to you. Some clients want us to work and design and see everything when it’s done. Other clients ask for check-ups along the way and still others are involved throughout the design process. The use of Basecamp allows for open communication between clients and our team to make sure all the clients need are being met. Will I have access to my website? Yes. Once the project is complete you will have access to your website. Additionally, we will provide training on how to use your website if needed. Yes. You will have full ownership of your website and access to everything. Why shouldn’t I use a company that says they will build me a site for $500?  You should use caution when dealing with a company that says they will build you a website for $500. If you’re paying for a $500 website it will look and perform like a $500 website. This means the website is most likely built with a template and therefore not unique to you and your brand. There will be nothing custom about your website. Additionally, it is likely that your website will not function as well as it could. It may not be mobile-friendly and if it runs slow, you will lose clients. Understanding why a website costs as much as it does can cause a headache. That being said, keep in mind that a website represents you and your business. Our websites are built custom and made to fit your brand and business. There is no simple or solid answer to this question because it depends on the size of your website. For smaller sites about 5-10 pages, we usually quote 3-4 weeks. The average site we get is usually between 10 to 30 pages in which case the time line is about 5-7 weeks. Anything larger will have a time frame of at least 8 weeks. The answer reflects the size of the website. While we sometimes take on smaller projects, our website projects are typically quoted between $5,000 and $20,000. Please don’t shy away if your budget is lower or higher, reach out to us and talk about your project. Every element of your project has a factor in the price. Our process is simple. First, a proposal will be discussed and agreed upon. At this point, 50% of the project fee is due. We will develop, design and finalize your site. When you are happy with the site and are ready to launch, the other 50% is due before we launch the site. Within 24 hours of receiving the last payment of the project fee, your website will be live. How much do you charge for Search Engine Optimization Services? Our SEO services are broken into monthly packages ranging from $397 to $1597. You can check out all the details on our SEO services page. We do make exceptions and customize packages when necessary. How much do you charge for Social Media services? Our social media services are broken into monthly packages ranging from $397 to $1297. You can check out all the details on our social media services page. We do make exceptions and customize packages when necessary. How much do you charge for an animated video? Our animated videos are priced out per projects. There are a number of factors that go into the pricing of animated videos – style, length, script writing, voice-overs, ect. Our video projects are usually quoted between $500 and $2,000. How long will it take to get me to the first page of Google? Many expect this to be a simple answer but it is not. We can tell you it takes much longer than a few days but it’s possible within 3 months. Your search engine optimization and page rank are based on a number of factors, some of which are out of our control. Google and the search engines are constantly change to make sure they are only showing the best content on the first page of Google. Another factor is your industry. For example, contractors and insurance agencies will take longer to move up in the rankings because of the large amount of competition in those industry. 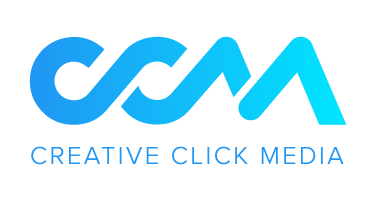 However, if your industry is a niche industry or if your competitors aren’t utilizing search engine optimization tactics, you might have more luck. All that being said, here are some actual numbers for you. We will show you movement within 3 months. You might only move from the 10th page to the 7th page but you will see movement. We cannot make any promises or guarantees of when you will get to the first page of Google but we will promise to get you there. How do we know we can do that? Because we rank on the first page of Google for over 70 keywords. You’re in good hands. Can you get me 1000 social media followers in a month? No. And we mean that in the best way possible. If a company promises to get you large amounts of followers in a short amount of time, they aren’t doing social media right. To achieve that many followers, you have to pay for them. When you pay for followers then your social media pages aren’t doing what they’re supposed to. When we say pay for followers, we don’t mean running ads – because we highly encourage social media ads. We mean actually buying followers. There are ways to pay for random people to follow your pages but this will surely hurt your social media profiles as you will see no engagement. What you want from social media sites are real potential customers, not bought followers. Remember, quality not quantity. I know nothing about the internet and websites. Why do I need a website? We are living in the digital age. Everyone goes online to find people to do business with. If you aren’t online, you are missing out on a very large amount of business. Your website will represent you and your business at all hours of the day and every day of the week. It’s vital for customers to have fast and easily accessible information about your business. Word of mouth is great, but without a website, your business will decline. It depends who you work with. Some designers can have it done in a few days; some can take up to a year. Our websites usually fall in the range of a 1-3 month turnaround time. In some cases, it may take shorter or longer. It depends on your project and details. What if I need help with my site once it’s already launched? We do offer full wordpress training once sites are launched. Additionally, we offer support and maintenance packages for those who would like to have us keep the site up-to-date. Yes. You will have full access to your website and all media contained within it. Yes. Your website is 100% and you will have access to all information. What platform do you build your website on? We work exclusively with wordpress to provide responsive and mobile-friendly websites. We do not build sites on any other platforms. Yes. We have professional copy writers to assist with writing content when it is needed. Can you help me with photos for my site? Yes. We offer stock photography through http://www.bigstockphoto.com/ to all our clients. We can find pictures for you or you are welcome to pick them out to send us in the right direction. Big Stock is included in all website proposals. Custom graphics are available but will have to be discussed before the project to budget appropriate time for the project. How many changes can I make to my website without additional costs? Every project has an allotted number of hours to be spent on it. The number of hours allotted to your project is calculated through a number of factors: amount of web pages, amount of content provided vs. needs to be written, stock or custom graphics and any special features your project would like. You will be given the number of hours plus 2-3 revision rounds based on the size of the project. If your project allots this time due to indecisiveness on part of the client, additional billable hours will become necessary. If the project surpasses the timeline due to technical difficulties or unforeseen challenges, no additional charges will apply. By definition SEO is: the process of maximizing the number of visitors to a particular website by ensuring that the site appears high on the list of results returned by a search engine. This means that, SEO professionals strive to make your website authoritative and credible in the eyes of search engines (Google, Bing, Yahoo, etc.) in order to get your website found in search results that your potential clients are making. Having a good page rank is pivotal to digital marketing. Over 90% of click-throughs occur on the first page. This means, if you are not on the first page for your keywords, you are likely not being found by your audience. How do I determine my keywords? You should use the help of an SEO professional to determine your keywords. They likely have the tools to tell you which keywords you should be trying to rank for. By knowing which keywords are more popular, you have a better chance of being found if you rank for them. But on the most basic level, you want to be found for words that people would search to find your business. When you will see results depends on your definition of results and how competitive your industry is. As SEO professionals, we define ‘results’ as movements. If your page rank goes from 100 to 80 in one month, that is results. If you define results are “when will I be on the first page of Google?” that’s were things go gray. There is not a black and white answer for when you can get to the first page of Google because there are a number of factors at play. The largest of which is that Google is always updating their rules to make it harder and harder to get to the first page. We can tell you that the majority of our clients do get to the first page and an average timeline is 3-6 months. We can tell you that we are on the first page of Google for over 70 keywords. And we can tell you that we stop at nothing to get you to the first page. PageRank is a link analysis algorithm used by Google to help determine the relative importance of a website. Every website is given a Google PageRank score between 0 and 10 on an exponential scale. In other words, it is how Google analyzing the authority of your website. What affects my SEO and PageRank? Your website design and functionality. The amount and quality of the content on your website. Your use of social media. Your use of video. The amount and quality of the backlinks to your website. What’s the difference between organic and paid results? Simply put, organic are results earned by having a great website that is read and authorized by the search engine. Paid results are just that; paid for and usually noted as such on the search results. Do I need social media marketing for my business? Yes. Social media is one of the fastest growing forms of custom service and if you’re not there to answer your customers, they won’t be happy. Additionally, it helps with your reputation management. You need to be part of the conversation. And something that most don’t think about – it affects your search engine optimization efforts. Social media is a great way to build backlinks to your site and help your SEO. Facebook, Twitter, Google+, LinkedIn as well as industry solutions such as (but not limited to) Pinterest, Houzz, Yelp, Avvo, etc. How many social media networks do I need to be on? This is up to you. You can be on one, you can be on 7. Our advice is to do research on your competitors and see where they are, or call us and we can do an analysis for you! What social media networks do I need to be on? It depends on your industry and client base. B2Bs should be on LinkedIn. B2Cs should be on Facebook. There are a lot of factors that come into play when developing a social media strategy. Research of platforms and competitors is required as well as a clear vision for goals and objectives. We can help you put together a social media strategy, just call us. I saw you offer “industry solutions”. What does that mean? These platforms – Pinterest, Houzz, etc.- involve more work, more time spent on them and much more attention to detail. Additionally, they don’t work for every industry so we have given them the name “industry solutions”. We rarely say no to any social media platform but thorough research of the platform and it’s setup will be done before we decide if it is an industry solution or basic platform, so don’t be afraid to ask.